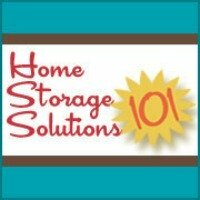 I found some great house cleaning pictures recently that reminded me of how great we have it these days, regarding cleaning. Others of these pictures reminded me that the more things change, the more they stay the same. 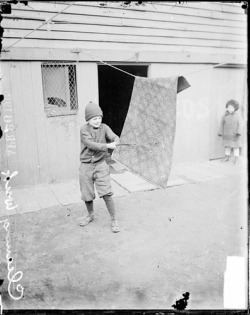 Here is a picture of a little boy beating a carpet to get out the dirt. This picture was taken in 1916. 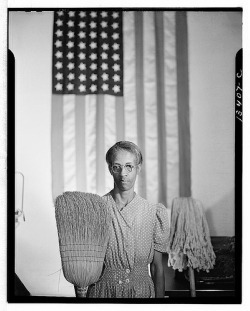 Then, there are cleaning pictures which, other than the clothes and the fact that it is in black and white, could just as easily have been taken today. 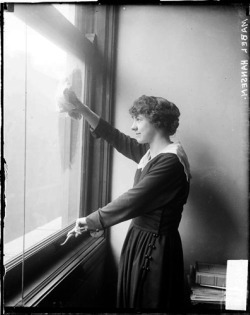 The one below is a woman washing windows, taken in 1917. 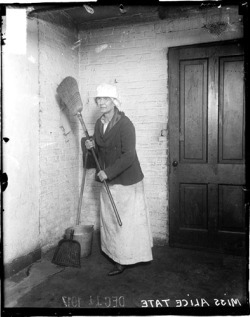 Another one that could be taken today is this woman holding a broom, again taken in 1917. 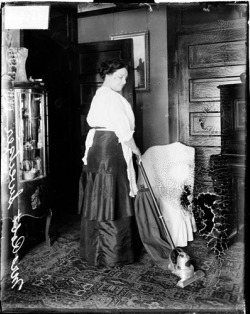 This picture, below, is interesting because it shows a vacuum cleaner from 1915. It looks pretty similar to vacuums today, I think. I had a lot of fun looking at these pictures. I found them at the Library of Congress American Memory website, and Flickr Creative Commons in case you want to look for some more.